The company stands accused of dozen pipeline safety violations for allegedly failing to keep required reports showing it had conducted high pressure water tests for five of its gas transmission lines. A bombshell hit the PG&E trial Tuesday with the revelation that the utility may actually have the very gas pipeline test records that federal prosecutors allege the company lacks. The company stands accused of a dozen pipeline safety violations for allegedly failing to keep required reports showing it had conducted high pressure water tests for five of its gas transmission lines. If convicted, the company could face fines of more than a half-billion dollars. After testimony ended Tuesday, prosecutors complained that the company divulged some 3,000 documents related its purported testing efforts to vouch for some or all of the five lines. It is not clear what those records might show, prosecutors aid. Hoffman then expressed concern about being sandbagged, saying prosecutors are “very concerned about the defendant’s recollection of events” now in dispute, noting that records were subpoenaed by regulators on June 26, 2014. Henderson argued that the late disclosure should bar PG&E from using the documents in its defense challenge of a government witness. PG&E lawyer Kate Dyer explained that PG&E had done its best to provide what documents it could, given its uncertainty about what test reports the government it supposedly lacked. 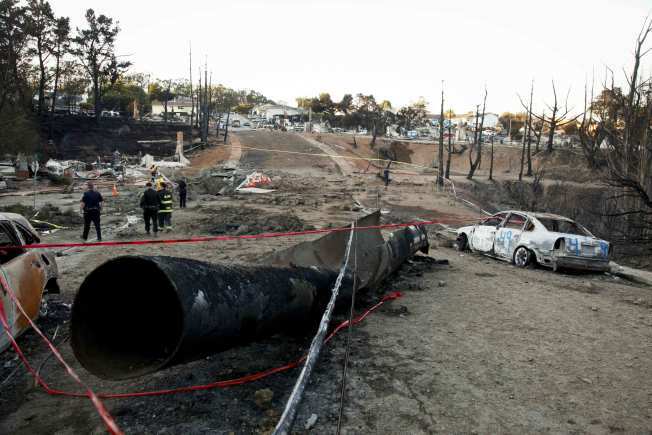 Earlier, a former PG&E manager turned consultant recounted how the company engineers attempted to reconcile parts of the code related to pipes were regulations appeared to call for costly inspections in the event pressure exceeded specified levels under government regulations. “I think all operators were struggling with that,” Chris Warner told the jury. He said that while the federal agency’s guidance to operators specified any pressure exceed dictated inspections, “most operators did not feel that was technically correct and did not mesh with other parts of the regulations. “We were all wrestling with how much is too much,” Warner told the jury. In the end, prosecutors say, PG&E ignored the specified inspections. It based its decision to not test lines in another part of the code that allows operators to exceed maximum pressure levels by ten percent during unexpected events.